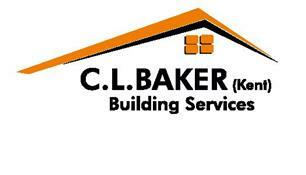 CL Baker Building and Roofing - Builder, Roofer based in Canterbury, Kent. Welcome to our Checkatrade page and thank you for taking the time to look at the services we can offer you. We have been in the Roofing & Building industry for over 25 Years offering a quality service to all our existing & future customers, whether it's a small repair or a major project we will be pleased to offer you a free no obligation quotation & advice. We cover all the South East. Herne Bay, Whitstable, Canterbury, Thanet, South East Kent.